Shoals Pediatric Group, located in Florence, AL, has been serving families across the Shoals since 1985. We are open Monday through Friday and on the weekends for sick visits. Our four physicians admit to and cover our sick patients at North Alabama Medical Center in Florence. We pride ourselves on knowing and treating our patients and their families as individuals. We recognize that each child is unique and has different needs. We aim to provide comprehensive care that addresses your child's physical health and development, as well as social and mental well-being. 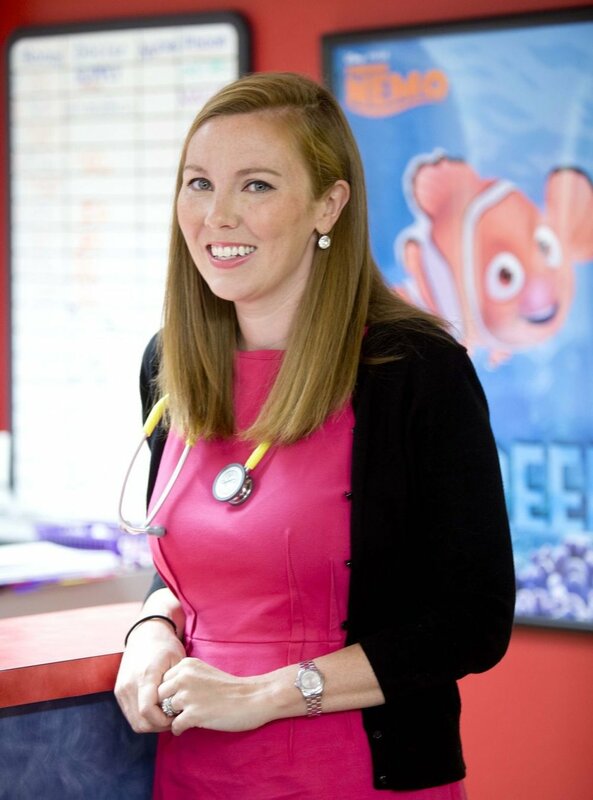 Your child will be seen by a physician at each visit to our office, whether well or sick. Shoals Pediatric Group follows the AAP and CDC vaccination schedule. We require new patients to follow this schedule, and if behind, agree to a catch-up vaccination schedule. Dr. Hammond founded Shoals Pediatric Group in 1985. He was born and raised in Florence, graduating in the first class from Bradshaw High School. He attended the University of Alabama for undergrad, majoring in Biology and Mathematics, before attending the University of Alabama School of Medicine, where he was a classmate of Dr. Freeman. He then completed his pediatric residency at Le Bonheur Children's Hospital in Memphis, Tennessee. He has practiced in Florence since 1978. Dr. Hammond has two grown daughters and two grandsons. Dr. Hammond is a farmer, and raises premier Gyulais cattle. Dr. Freeman was born in Fort Lauderdale, Florida, and attended college at the University of Florida. He then attended the University of Alabama School of Medicine, where he was a classmate of Dr. Hammond. He completed his residency in Pediatrics at the University of Oklahoma Children's Hospital, before working in private practice in Temple, TX. In 1990, he joined Dr. Hammond at SPG in Florence, where he has been ever since. Dr. Freeman met his "cowgirl," Mrs. Kay, while out West. They have a son and a daughter, and one grandson. 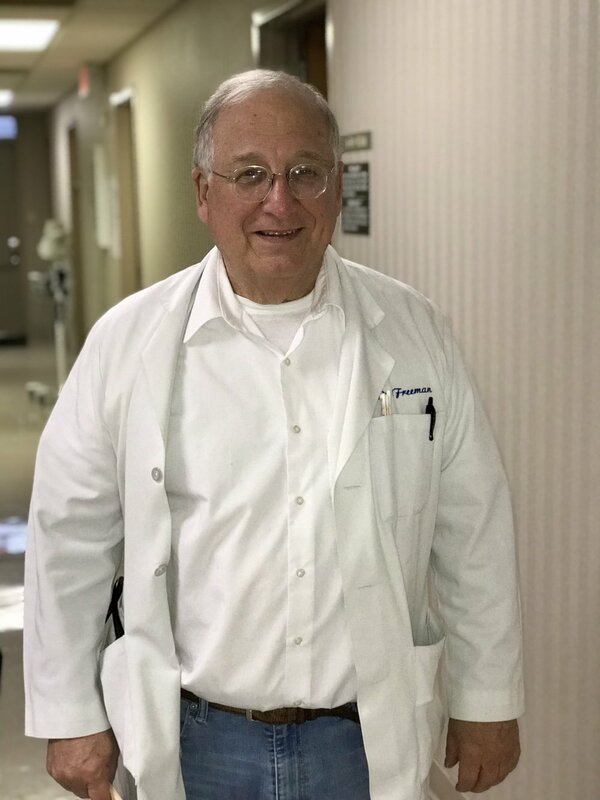 Dr. Freeman is an avid Alabama football fan, a WWII history buff, and enjoys hunting and visiting his in-laws in Texas. Dr. Moore has been with Shoals Pediatric Group since 1990. She grew up in Greenwood, MS. She attended college at the University of MS (Ole Miss) and medical school at the University of MS School of Medicine. She completed her internship and residency at Georgia Regents University (formerly known as The Medical College of Georgia). Dr. Moore is married to Dr. Ed Moore, a Family Physician in Florence. They have three children. Meredith works at the Center for Disease Control in Atlanta in Global Public Health. Trey is a biochemical process engineer in Albany, NY. Hamilton is in medical school at the University of South Alabama in Mobile. The Moores attend Highland Baptist Church. Dr. Moore's interests include outdoor activities, travel, golf, and reading. She decided in 7th grade she wanted to be a physician. She thoroughly enjoys the practice of pediatrics and feels fortunate to have practiced long enough to see the children of her former patients. Dr. Moor joined Shoals Pediatric Group in 2017. She grew up in Florence as Sarah Kelley. She left Alabama to attend college at Washington and Lee University in Virginia, before returning to Mobile to attend medical school at the University of South Alabama College of Medicine. She then completed her pediatric residency at Cincinnati Children's Hospital Medical Center, in Cincinnati, Ohio. She is a board-certified pediatrician and Fellow of the American Academy of Pediatrics (FAAP). While in Mobile, Dr. Moor met her husband, Kyle, who is a high school teacher. They have one daughter, Virginia. Dr. Moor enjoys watching football, spending time on Wilson Lake, reading, being with friends and family, traveling, and exercising (but not running!). Dr. Moor is excited to see new patients at SPG. She has always loved children and enjoys hearing the funny things they say. She has a special interest in breastfeeding, effective antibiotic usage, eczema, and asthma.